We’ve partnered up with Suoni per il Popolo to put on this sweetheart party with Ohara, Child Actor, and DirtyOrgans at Casa del Popolo in Montreal on January 29th! A huge thank-you to all the fans, new friends and lovers of Hua Li, ¡Flist!, Saxsyndrum and DirtyOrgans for coming out to our very first ANL Showcase. That’s a wrap for us for 2014, but we’re bursting at the seams with videos, tours, and releases for next year. 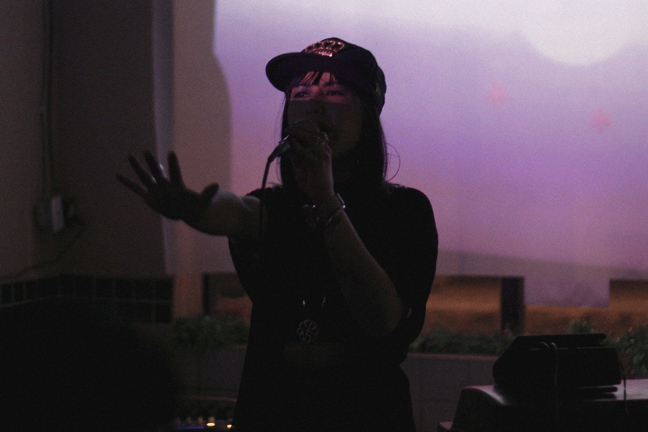 Extra special kisses to Tyler Reekie for providing us with live visuals at Brasserie Beaubien, and Robby Reis for these photos!